X-Rite ColorChecker Passport Video | Beau Photo Supplies Inc.
Get to your creative look faster! Achieving the proper color balance and exposure for video can be challenging. F-stops don’t always match. Ambient lighting conditions change. Multiple cameras and lenses have different looks, even if they are the same brand and model. All of this adds up to quality challenges and increased workload in post-production for your colorist or editor. 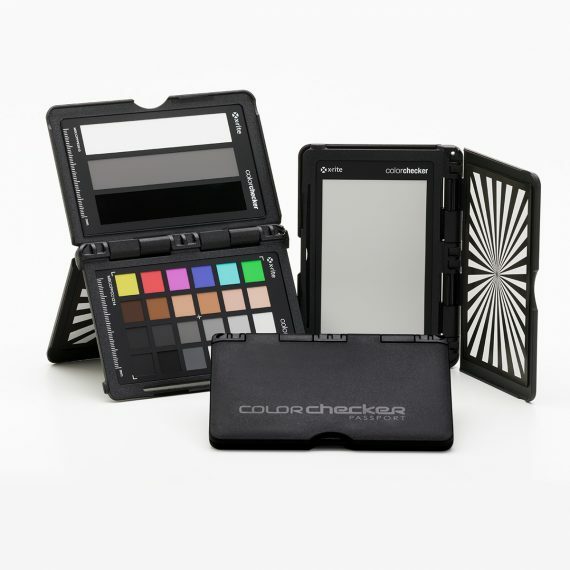 ColorChecker Passport Video is specifically designed for the video production workflow. This essential 4-in-1 color target will enable you to get a better camera-to-camera match, achieve perfect exposure and easily shoot and edit for mixed lighting. The convenient pocket-sized ColorChecker Passport Video target makes your workflow faster, more consistent and more balanced. It allows everyone on your team – from producer to cinematographer to editor to colorist – to work with consistent color information. It saves you time from pre-production through production and helps you get to your creative look faster.